From the repeated lies of Chris Huhne and Vicky Pryce during trial, to the sub storyline of Huhne’s fractured relationship with his son, this car crash of a soap opera-like story has been played out in full fanfare under the media spotlight. 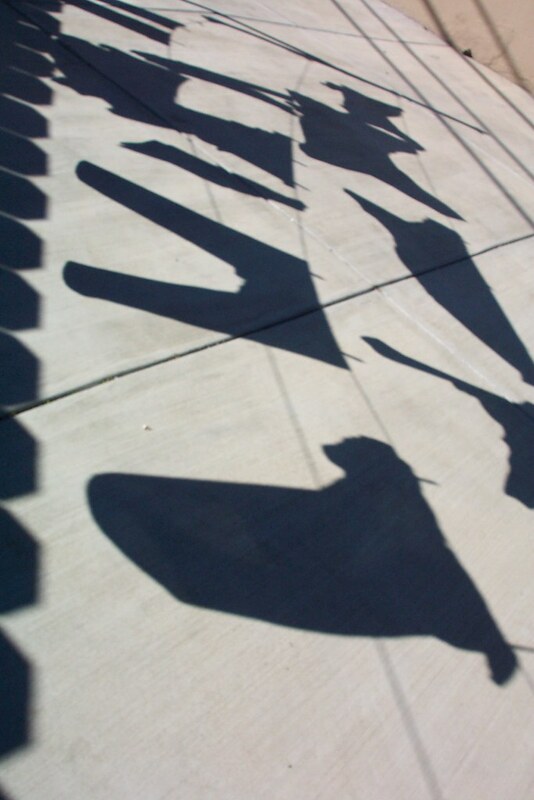 No one likes to air their dirty laundry in public. Perhaps the eight months sentence the pair faces, will draw an end to this thoroughly modern-day Shakespearean saga. Alternatively perhaps they will use the publicity to secure book deals. The fizz has officially fallen flat as Champagne has been cut from the basket of goods, alongside Freeview boxes and round lettuces. According to Mintel figures, sales of the bubbly have fallen by more than 30% since the hey-days of 2007, from £1billion to an estimated £690million. Trading in bottles of Champagne, typically around £40, are bottles of white rum which can be bought for a fraction of the price. This week the ever-struggling sterling hits a two and half year low. Good news for British investors, bad news for holidaying Brits (of which sadly, I will be one of them). 5. Can women have it all? An interesting commentary piece in the New York Times written by former CFO of Lehman Brothers, Erin Callan on wanting to “have it all” and failing. This was in response to a heated debate sparked by the launch of Sheryl Sandberg’s new book, “Lean in” – and much of our conversations here in the team as well. Can women strike the perfect work/life balance and really “have it all” or is it simply about “having enough” and being happy with it? What do you think? Leave us a comment below. When the economy stalls we turn to central banks for stimulus measures. Throw in significant sovereign debt issues and central bankers here in Europe and in the US have plenty to contend with. Debate and speculation around interest rates and quantitative easing programmes is widespread. Financial markets are looking for any sign of a shift in attitude from central bankers as to their views on what may be needed to turn the situation around. That is why here in Britain, the release of the monthly Monetary Policy Committee meeting minutes has become something of a media event in its own right. The description of the outlook suggested Fed officials now see slower growth and have a more pessimistic view on the labor market. Committee members expect growth to pick up “very gradually” (adding “very” to the previous language) and think the unemployment rate will decline “only slowly” (as opposed to “gradually”). It all goes to show how carefully central banks must word their outlooks with so many interested parties looking for a guide to what is in store. 1. 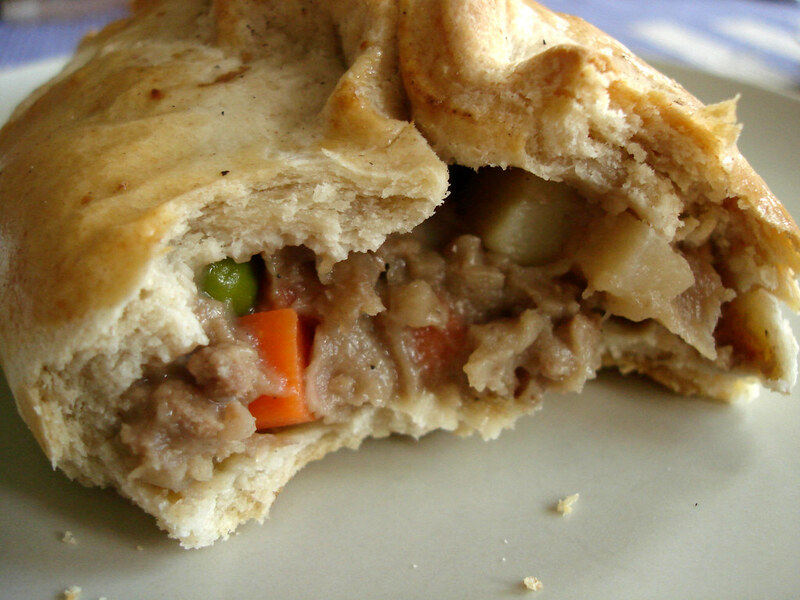 Just when we thought Granny tax ruled the “Best _______ tax” name, this week the press (and Twitter) had a field day with the pasty tax saga. The surprise budget announcement sparked a threat of a bakers’ march led by the head of bakery at Greggs. According to the Guardian, an online petition has already been set up on Downing Street’s scheme by bakers’ trade associations. Sign up here. 2. Not content with scoring the own goals that were pasty-gate, grannytax and the donor-row, the Government proceeded to exacerbate their worst week ever and add fuel to the flames of a pending petrol crisis that never materialised, despite Francis Maude’s best efforts. 3. The question on everyone’s lips is “Are we back in recession?” The answer is it depends on who you’re speaking to. Latest OECD figures reveal that the economy has shrunk for the second quarter, but according to predictions from Office for Budget Responsibility, the UK will avoid a recession with the economy growing by just 0.8 per cent over the course of 2012. 4. A giant step for the Eurozone but a small step for the global economy as the European Union confirmed the extension of the European bailout fund. The total funds available has now reached €700bn. So it’s been a while since I penned anything on here and Dave Chambers the man who is not afraid to request a ‘Sav and a wedge’ should he feel the need, has MANFULLY held the fort. It has been a monumental week to say the least. As ever, we try not to focus on the obvious, but sometimes, particularly at the moment, there’s just no getting away from the travails of the modern economy and what Dr Doom would never call the ‘current economic climate.’ So here it is, our take on the week’s events, in 5 bite size chunks. Bon appetit! Everything that could go wrong in the Eurozone pretty much has. It seems that since the first falling domino of Greece announcing it needed to be bailed out back in April 2010 through to Italy teetering on the edge this week there has been an air of predictability and certainty about which domino will topple next. So why is it that this destructive process has been seemingly allowed to go on when pretty much every falling domino has been widely predicted? In Ross’ view the primary reason has been short sighted politicians. Naturally, politicians want to hold on to power once they have been granted it. Given that politicians are subject to frequent votes every few years in order to grant them a continued mandate they often fail to think more long term and strategically. Instead they look for quick wins. This breeds a culture of politicians not telling their electorate what they don’t want to hear which leads to many difficult decisions being overlooked. The Eurozone crisis being no exception. Look at Angela Merkel. Unwilling to take the required step of committing Germany to underwrite Eurozone debt through fear of alienating voters who don’t want to support distant countries like Greece. George Papendreou’s craving for short term political support when calling for a referendum shattered any illusion that Merkozy had solved the Eurozone’s woes. The EU’s politicians need to address the bigger long term picture of Europe rather than bowing to domestic politics. Failure to do so will certainly result in more dominos falling. Whilst the UK is surely towards the end of the domino line up, the fact those ahead of it keep falling should serve as a stark warning. We certainly won’t be able to say we didn’t see it coming. This excellent graphic featured in the Times is not only a marvellous demonstration of what Ross was going on about above, it also does exactly what it says on the tin (click on it to see a larger version) and is well worth a read. Last year Metro Bank launched to something of a fanfare. They proudly proclaimed they would take on the big traditional high street banks and lure customers into their doors with the promise of consumer-friendly opening hours, smiling staff, instant setup accounts and a personalised touch. 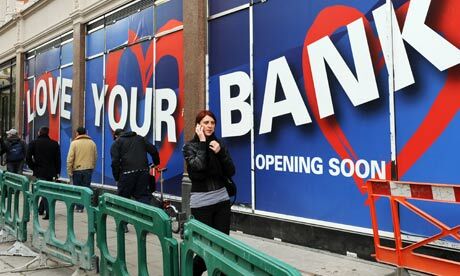 The PR they got was very good in most cases, and the bank has continued with its branch opening programme to the extent that the blue and red branding is now a common theme on London’s streets. All very well and good. But only if you then proceed to sell something, and as the FT reports today, this is proving tricky – there is a startling lack of mortgage sales going on, primarily because Metro can’t offer competitive rates owing to its small size and the cost of all those customer extras it offers. On a more positive note, the paper also revealed that Metro has signed up over 40,000 current and saving account holders. The message is clear then – when it comes to everyday money, many consumers will go for the brand. When it comes to big money however, a percentage figure still rules. It seems apt on today of all days to recognise the good week that the poppy campaign has enjoyed. Thanks to concerted pressure from the FA and others, England will tomorrow be allowed to wear their poppies with pride as they take on Spain at football. The poppy campaign has also enjoyed the debut of designer editions on the X Factor and Strictly Come Dancing, and continued coverage on the front of every national newspaper. It also wouldn’t be right if as Poms we couldn’t have a little dig at the absolute stinker the Australian cricket team have endured. We know there’s very little finance related about them or cricket, but we simply couldn’t resist. At 21 for 9 it could have been even more dyer but for some heroic last wicket hitting by their tail-enders. I think we liked it best the way the BBC’s Hugh Pym summed things up. And in other news, one of our highlights this week was working with Alexandra Burke to launch the Street Dance for Change campaign with our client Aviva and Railway Children. The team delivered some outstanding results and our colleague Sam Lythgoe has written up a lovely little synopsis here. Frank Portnoy, Professor of Law at the University of San Diego has written a fantastic article in today’s FT on market uncertainty, rogues, risk taking and trust in banks. The best we’ve seen and rather frightening, Dr Doom would be proud, because ultimately, however much we regulate, we are only basing decisions on what has happened in the past, rather than what could happen in the future – i.e, Greece defaulting. Soon to be called the Saturday Fiver if we post this any later, please see our take on this week’s news below. Never ones to go for the obvious, we’ve shied away from adding further comment to the ICB’s final report, instead looking at the possibility of a break up of the EU, the anniversary of Lehman’s and the shadow it still casts over our financial markets, the Daily Mail’s new website, a twitter storm at Topman and stat of the week! Massive thanks to Coffey Clare Coffey, Claire Scott, Sallie Bale, Matt Bright and Linzi Goldthorpe for this week’s contributions. In case you missed it, President Obama was in the UK this week to talk essential relationships, cyber crime and have a barbeque in the Number 10 Rose Garden. In honour, of his visit this weeks’ fiver looks at the visit and the UK’s special essential relationship with the US. Thanks to Dave, Clare, Rachel and Melanie for contributions. Whilst Foreign Policy and the six point plan, were the main items on the agenda, surely the most interesting aspect of Obama’s visit was the upgrading of the UK’s ‘Special Relationship’ with America to an ‘Essential Relationship.’ Essential. Never mind our credit rating, we have an essential relationship with America! As Matthew D’Ancona pointed out earlier this week, it has a certain ring of indispensability to it. I’m less sure Obama’s deficit reduction plan can be described as Osbornian, as D’Ancona suggested, but you have to hand it to Cameron he pulled the rabbit out of the hat with that one. Governments should “live within their means” but also sustain growth by investing in education, and the pace of deficit reduction “may end up being different”. Uncritical certainly from the President, but hardly the ringing endorsement David Cameron and George Osborne were hoping for with regards to their economic strategy. They were probably also hoping for better revised Q1 GDP figures from the ONS than the ones that materialised this week at roughly the same time as the meat was cooking on the barbie. Traditionally, the revised figures show an increase in GDP for the quarter over the first, partial set of figures released. That didn’t happen this time, with growth remaining at 0.5%. More worryingly, household spending contracted 0.6% and business investment practically hid in the corner shivering, as it shrank 7.1%. The Government remains committed to cutting hard and fast in order to shrink the deficit and get the country back on track without a large credit card bill hanging over it. Judging by the economic data and reaction to it, the jury is still out on whether this will work or not – which is perhaps why the President hedged his words to such effect. Wise words indeed from the First Lady and something all of us can take heart from. Media coverage of the meeting praised her as an inspiring role model for these young girls. But do our young people need to wait for a visit from a foreign leader’s wife to feel inspired? It strikes me that inspiration comes in all sorts of guises from dignitaries to teachers, to a school system and society that encourages successes achieved on merit. I cannot help thinking that more of our young girls would be inspired if the education system were fairer and society willed them on. However, today’s announcement that under radical changes to admissions, some secondary schools will be able to select pupils on the basis of family income fills me with dread. If we want to inspire our young people, there has to be a better way than judging them on their parents’ finances. There was a time when being British was all about keeping a stiff upper lip through adversity. 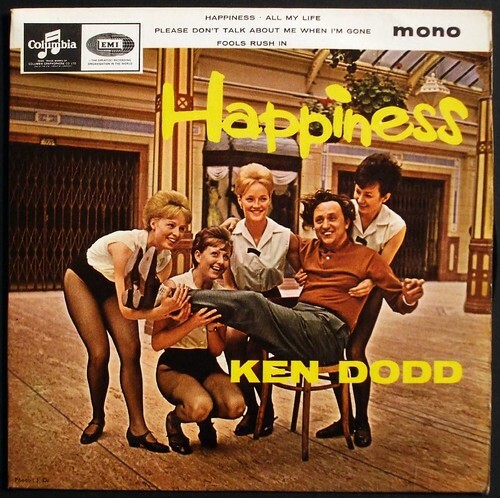 We were a bit stuffy, grumpy, and proud of it (with the exception of Ken Dodd). But if this week’s stats from the OECD are to be believed the old stereotype has been blown out of the water – we’re actually much happier than most of our European neighbours, including those where the weather is supposedly much nicer. Of course our BFFs across the pond are way ahead, with the ‘pursuit of happiness’ in their constitution, but recent events have given them a run for their money (Will & Kate, less than a year to go to the Olympics, plus some cracking Aviva (client) sponsored ITV dramas on the telly). Even Obama seemed to be using his visit to the UK to give a PR boost to the start of his election campaign, after all the yanks did seem to love the Royal Wedding more than we did. Cheeriness is starting to look like part of a new national character, even a driver of government policy with the government launch of a new way of measuring it earlier this year. Yet whilst the OECD’s figures do seem to suggest that money doesn’t necessarily make you happy, it will be interesting to see whether the next GDP figures show it can work the other way around. When all the fanfare and noise from the military 41 gun salute to welcome Obama’s visit abates, we hope that the two leading western premiers might spare a thought for the lot of their respective domestic pensioners. They don’t need to look hard or delve deeply to find incontrovertible evidence of the pensions malaise and bleak future that faces many prospective pensioners in the UK and US and indeed across most Western economies. The worrying statistics roll in on an almost daily basis. According to an international survey released by HSBC this week six in ten Britons have no financial plan for their retirement – due to a “cycle of dependency” and suffer from an equally self-deluded belief that they will enjoy a comfortable retirement. Across the Atlantic, prospects are equally stark in the US. New findings from the American Association of Retired Persons (AARP) latest public policy institute report reveals that many older Americans, employed and unemployed, may never recover financially from this latest recession, although here, half of them do actually realise that they won’t have enough money to live on in retirement. This dearth of planning contrasts with upcoming economies in the East, where a class of “prosperous pensioners” is merging. The respective expectations on annual growth showing further downward revision for the UK economy (now a paltry 1.4%, with the US at only 2.6), is in stark contrast to buoyant growth rates in Asia’s flagship economies – China 9.2%, India 8.5%. Thanks to DC, Daisy, Rachel and Nick for contributions. Economic figures this week were better than predicted, but is this just a pause for breath before the storm? Here’s a question for you. If GDP growth is so flat (or even in reverse as it was last winter), then how can it be that unemployment fell according to the latest figures? Wednesday’s announcement from the ONS stated that total unemployment was down from 8% to 7.8%. Here’s another question for you as well. If global commodity price rises (particularly food and oil) are showing no sign of slowing down, then how can it be that inflation fell against most predictions according to the latest figures? The ONS’ figures on Tuesday recorded a drop in the Consumer Price Index from 4.4% in February to just 4.0% in March. So what’s going on? Well, the fall in unemployment was definitely welcome, but it may be shortlived. The reason for this is the continued fear that new jobs created in the private sector may not be able to keep up with the large redundancies likely being made in the public sector as the government trims spending – it’s a bit like pouring water into a bucket at the top, and it flowing out through holes in the bottom; the problem is, we can’t pour water in fast enough. And on inflation? Well, it turns out that we can thank retailers, and especially supermarkets, for the slight fall in inflation. According to the ONS, the level of discounting by shops is at an all time high as they try to maintain the flow of customers in through their doors (this might explain why my local Co-op has been running a 50% off wine promotion almost non-stop since Christmas). The question is, how long will these promotions continue to entice consumers? Especially when growth in wages continues to lag behind inflation, reducing the amount of disposable income we have to spend on the high street.